Turkey’s foreign policy has changed dramatically since the collapse of the Soviet Union and the unrivalled ascendance of the US, Turkey’s principal ally since its founding as a republic in 1923. Formerly, it acted as a proxy for US power in the region. As a member of NATO since 1952, it was a strategic Cold War foe of the Soviet Union. Turkey was the second Muslim nation (after Iran) to recognise Israel soon after it declared itself an independent state in 1948, and maintained close political and economic ties with that key Middle East ally of the US through thick and thin. Turkey was encouraged by the US to move into ex-Soviet Central Asia as it opened up after the collapse of the Soviet Union, with the goal of co-opting the Turkic-speaking “stans”, bringing them into the Western fold by appealing to their Turkic heritage. However, while still a member of NATO in good standing, Turkey is now becoming a player in its own right, increasingly critical of the US and Israel. This transformation has taken place under the rule of the Islamist Justice and Development Party (AKP), which came to power in 2002 and was soon forced to decide how it would deal with the US request to use Turkey as a base to invade neighbouring Iraq. The decision to refuse marked a new stage in Turkey’s foreign relations. The US is not always pleased with Turkey’s positions on its many wars and would-be wars, but is forced to make the best of the situation. US Ambassador to Turkey Francis Ricciardone recently said the US and Turkey share “almost” the same views on military action in Libya, and that Turkey had a unique role in the region and a special expertise because of historical and cultural reasons. While Turkey agreed to participate in the occupation of Afghanistan, it did so only in a noncombat role as trainer and a security force for the government in Kabul, “not with paternalism or the imperial arrogance of an occupying power,” according to Aydemir Erman, Turkey’s coordinator for Afghanistan from 1991-2003. It maintains close relations with the Islamic Republic of Iran, supporting its efforts to development nuclear power, and voted against US-inspired sanctions in the UN Security Council in 2010. And earlier this month, NATO’s Mediterranean and the Middle East Parliamentary Assembly listened to an address by Iran’s Deputy Foreign Minister for Euro-American Affairs Ali Ahani, the first time for the Islamic Republic, “almost” certainly due to Turkey’s lobbying. Turkey initially condemned the invasion of Libya by its NATO allies, warning that a drawn-out conflict risked turning the country into a “second Iraq” or “another Afghanistan”. Though it finally joined its NATO allies, Turkey refuses to conduct bombing missions, interpreting UNSC Resolution 1973 strictly as ensuring a no-fly-zone, and only recognised the rebel National Transitional Council (NTC) in early July, when Turkish Foreign Minister Ahmet Davutoglu visited Benghazi’s “Tahrir Square”, named in honour of Egypt’s revolution. It continues to press for a ceasefire and negotiated settlement. Davutoglu told the rebels Turkey and Libya have a “common history and a common future”. Erdogan has stated, “Turkey’s role will be to withdraw from Libya as soon as possible” and “restore the unity and integrity of the country based on the democratic demands of the people. This deployment should not be carried out for Libya’s oil.” Davutoglu hosted US Secretary of State Hillary Clinton in a meeting of the Libya Contact Group in Istanbul on 15 July. Its relations with Israel have changed sharply. In 2004 Turkey publicly denounced the Israeli assassination of Sheikh Ahmed Yassin as a “terrorist act” and Israeli policy in the Gaza Strip as “state-sponsored terrorism”. In 2009, Prime Minister Recep Tayyip Erdogan famously refused to share the platform with Israeli President Shimon Peres at the World Economic Forum after the Israeli invasion of Gaza. In 2010 Turkey withdrew its ambassador following the Israeli massacre of nine Turkish peace activists trying to break the seige of Gaza in 2010. But Turkey, as a candidate member of Europe and a full NATO member, must play a mature role as regional mediator. No one will benefit from a regional war against a ruthless, nuclear-armed Israel. Thus, Turkey tried to discourage Freedom Flotilla II, fearing yet another massacre this year, successfully pressuring the Turkish charity IHH to cancel its participation, and discouraging the flotilla from setting out from Turkish ports. This delighted Israel, and almost certainly was intended as a bargaining chip to try to coax an apology and compensation from Israel for murdering its citizens in last year’s flotilla. At the same time, a UN investigation prepared a report (now shelved) intended to settle the Turkish-Israeli stand-off, which advises Israel to offer an apology and pay compensation to Turkey over the killings, a finding which Israeli officials rejected. Israel Foreign Minister Avigdor Lieberman harrumphed, “An apology is not a compromise, it is a humiliation.” Israel fears an apology would set a dangerous precedent at a time when many Israeli officials have had to cancel trips abroad for fear of arrest for crimes against humanity. US Senators John McCain, Joseph Lieberman and Lindsey Graham told Erdogan earlier this month that only Turkey can convince Hamas to join in peace talks with Israel. Graham told Hurriyet Erdogan was “the most impressive spokesperson in the region”. Turkey is indeed working with Hamas on reuniting Palestinians. He is also reportedly trying to convince Hamas to agree to a German mediator’s proposal to release 1,000 Palestinian prisoners in exchange for the release of Israeli prisoner Gilad Shallit. Last year, Israeli-Turkish businessman Eliko Donmez gave Erdogan a letter from the captive soldier’s father Noam. In line with Lieberman et al, Noam expressed only “regret” over the death of Turkish citizens in the raid. If Turkey succeeds in extracting a genuine apology from the Avigdors and Noams, this would mark a first in the history of Israel, and would be an important signal that it can be influenced to join the world community as an “almost” responsible partner — thanks to Turkey, rather than Big Brother. But there are very few selfless altruists in foreign affairs, and Turkey’s foreign policies reflect those of a vigorous, capitalist economy. 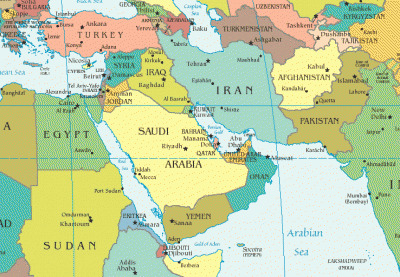 It has very clear economic interests in the Arab world and it is naive to expect otherwise. By recognising the NTC in Libya and providing it with financial support while calling for negotiations, it is positioning itself as the key power in a post-Gaddafi Libya. Ditto Syria. Turkey’s plans to build dams and increase its use of the Euphrates and Tigris for irrigation with or without agreement of its downstream neighbours brings to mind Ethiopia’s plans for the Nile. Such matters involve self-interest and require hardnosed negotiations, and Turkey’s neighbours better get hopping. By building these dams, Turkey may well be setting the stage for future “oil-for-water” trade schemes with Iraq. Turkey is a vigorous, independent power, which demands respect — and deserves it. Erdogan is working to see a day “when people can pass from a free Palestine through Istanbul to London. Not building walls around Turkey, but opening up to share with our neighbours. In Cairo, we are the Middle East, in Europe we are Europeans. We must shape history with all the nations around us,” he told the Leaders of Change summit in March. Middle East developments today hold out the promise of showing the way towards a “global, political, economic and cultural new order”. He proposes that the US take note. Following the international financial crisis of the past three years, “we need to develop an economic order based on justice, and a social order based on respect and dignity.” Pundits joke that the Israel-US relationship is a case of the “tail wagging the dog”. Unless Turkey’s NATO allies wake up and follow its lead, it could well abandon this 21st c white elephant. Whereas in 2004, 67 per cent in Turkey saw NATO membership as essential for national security, only 41 per cent did in 2011. And if Erdogan’s “new order” comes to fruition, with the region’s countries looking to Turkey for direction rather than the US (and Israel), it would be just as apt to conclude that Turkey is the new tail wagging the ungainly US-Israeli dog.